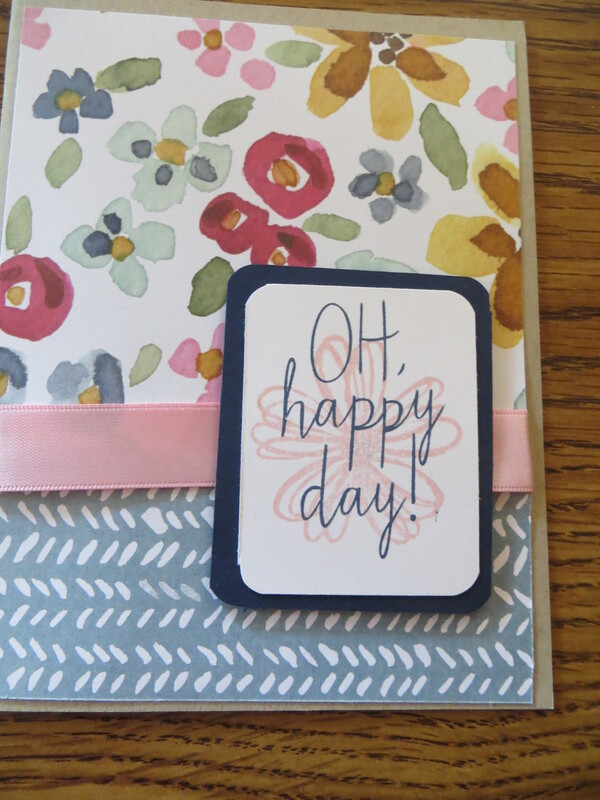 When I need a quick card, I like to pull out pretty Stampin Up DSP and work some magic. The Stampin Up English Garden DSP #138440 collection has beautiful colors and floral design that it is the star of today’s card. The English Garden paper the English Garden DSP can easily stand on its own – lending any card instant color and charm. I added a piece of satin ribbon to soften the paper even more and added a simple sentiment.